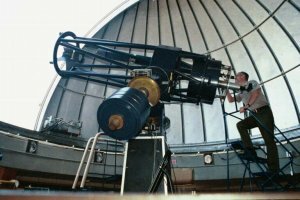 The Goldendale Observatory Interpretive Center is located on a hilltop North of Goldendale. Gaze at planets, nebulae, and galaxies through the lens of one of the nation’s largest public telescopes available in the evenings for public viewing sessions. The facility is run by the Washington State Parks Department. Visit this fine facility year round and enjoy a family outing under the stars.